Mods, the newest feature in the upcoming Forza 6, has been fully detailed. Forza 6 developer Turn 10 has officially revealed the new Mods feature. Mods was talked about briefly at gamescom, and was said to be similar to Skulls in Halo. Mods consist of different types of modifiers that affect the race by adding additional challenges, changing car handling, or offering bonus rewards at the end of the race. You unlock them as you play and they can be used in career or free play modes. Dare Mods challenge the player to get out of their comfort zone and perform with specific driving requirements that will test their skills. Players will earn credits bonuses if they succeed in a race with a Dare mod added. All Dare Mods can be used as many times as the player likes, but only one dare can be used at a time. Crew Mods give the player a specific performance advantage during a race, depending on the Crew Mod used. Crew Mods don’t offer specific bonus rewards but can give players an advantage in a race. Boost Mods give the players a specific advantage during a race or a bonus for performing well in a race. Boost Mods might increase the total amount of credits you can earn after a race, or give you a bonus to XP or credits for performing certain in-game feats. The blog also detailed Forza 6’s new prize spinner. Similar to the one found in Forza Horizon 2, it will award you with credits, cars, or mods. It will be gird-shaped this time and you can either spin it each time you reach a new level or a save a few spins to do all at once. 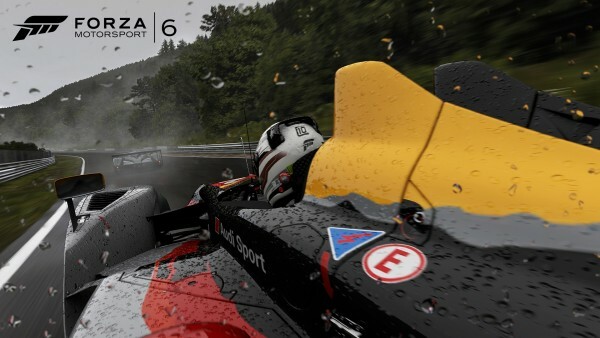 Forza 6 is out September 15.